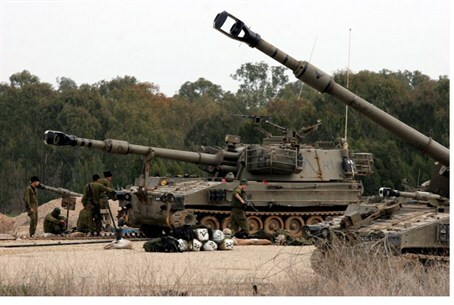 Syrian gunmen opened fire on IDF soldiers for the second time in 24 hours. Soldiers fired back, destroying Syrian position. Syrian gunmen opened fire on an IDF position in the Golan on Sunday morning in the second attack of its kind in 24 hours. IDF soldiers responded with heavy fire, scoring a direct hit on the position from which the fire originated. No soldiers were hurt. On Saturday night gunfire from the Syrian side of the border hit an IDF jeep in the same area. No soldiers were hurt in the attack. Senior military commanders said they remain unsure whether Syrian gunmen are deliberately targeting Israel, or if the gunfire and mortar shell fire over the border is simply spillover from Syria’s ongoing civil war. It is difficult to differentiate the motivations behind the attacks, because the civil war raging in Syria has evolved into a battle between the government and an opposition that is split into two factions. One is the Western-backed National Syrian Council (NSC) represented by the Free Syrian Army, and the second, a radical jihadist coalition called the Islamic Front for the Liberation of Syria comprised of 13 terrorist factions, most linked to extremist groups such as Al Qaeda. Israel has filed a complaint with UN forces in the Golan over the latest violence.